As a trial user, we will provide you a full working version of InventoryLab and automatically sync the past 60 days of Sales and Expenses from Amazon to evaluate if InventoryLab is right for you! As a paid subscriber, you are able to import sales and expenses older than the initial 60 days provided in your trial. Syncing historical data is easy! 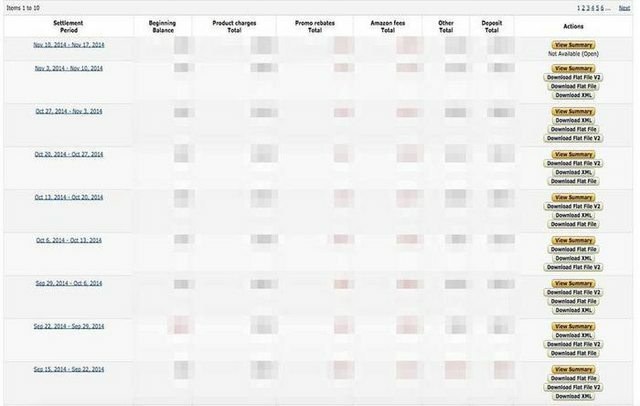 Simply log into your Amazon Seller Account and go to Reports->Payments->All Statements and then select Request Report for each settlement period you wish to show data for in InventoryLab. Once you’ve requested each of the settlement reports, sales data will begin to synchronize within your account (you may not see it right away but this does not mean it’s not working). Any fees or expenses (refunds, inbound shipping cost, storage fees, service fees) that were included in your settlement report for that time period will also populate within the account once the sync is complete. If you do not see all 3 of these options, please open a case with Seller Support and inform them of which report types you do not see and ask them to make them available for all past and future timeframes. Please allow 12 hours for all of the data to synchronize within your InventoryLab account. This timeframe may varies depending on the amount of back data you are importing. Large volume sellers may take several additional days to import past data due to the volume of information.